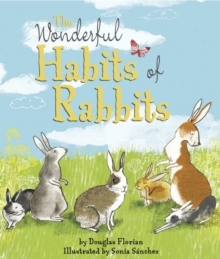 Join a family of rabbits as they have all kinds of fun throughout the day, like leaping and swimming and digging up holes! And when it's time to say "goodnight," there's one very special habit of rabbits that's not to be missed...Sonia Sanchez is the award-winning children's book illustrator of Here I am and Sister Day! She lives with her husband and cat in a blue house near the Mediterranean Sea.